Steven John Schmelzer, 66, of Sturgeon Bay, died suddenly on July 11, 2018, in Sturgeon Bay, Wisconsin while surveying a parcel of land on Mathey Road. He was born in Sturgeon Bay to Lillian Potier and Anthony Schmelzer on August 21, 1951. He is survived by his wife, Gretchen Recupero Schmelzer; sons, Josiah, Noah, Luke (Lucy Hatfield) and daughter, Linnea; sisters, Ann Buchberger, Christine (Robert Siigers) Reid, Margaret (Mark) Furdek; brother, Tom (Barb) Schmelzer; sister-in-law, Ruth Schmelzer; nieces and nephews, and many other family and friends. He was preceded in death by his brother, Anthony ‘Butch’ Schmelzer and his parents. Steve was a proud nurturing father, fun-loving and kindhearted man, with a good sense of humor, who loved his family deeply. Steve warmed up a room just by entering it. 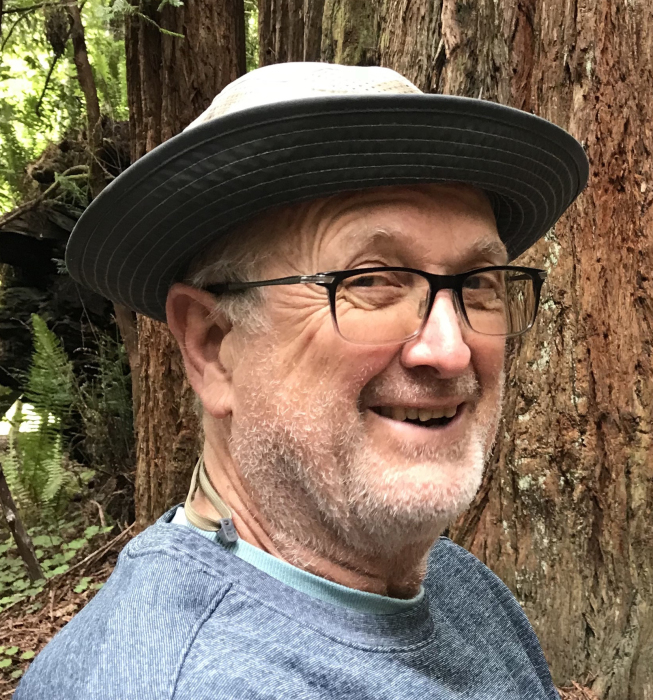 He bestowed many of his passions on to his children through frequent family adventures and experiences including: his love of sailing, canoeing, in-line skating, mountain biking, basketball, horseback riding, hiking, backpacking, and most recently, pickleball. Steve was an avid reader of many different genres, enjoyed classical music, read world news and listened to WPR and BBC radio daily. He kept up on current events, often forwarding interesting articles to family and friends. Upon his retirement, Steve and his wife traveled to many state and national parks around the country, visiting family and friends, and hiking and backpacking many miles. Steve began his mornings and often ended his day strolling through his prairie and garden pathways, eating his bowl of oatmeal or drinking a cup of Constant Comment and enjoying the simple pleasures of life. As a social studies educator at Sturgeon Bay High School for many years, Steve was a catalyst in nurturing forward thinking in his students. He challenged them daily to look at all sides of an issue and to support their ideas. Steve made space for interested students who wanted to delve deeper into the meaning of life through philosophical readings such as Ishmael and Tao de Ching, often having discussions after hours. Steve was so pleased to have had all four of his kids in at least one of his classes. Over the years, Steve coached Mock Trial, cross country, track, and Youth in Government. Steve will be missed tremendously, but his absence will be filled with fond memories of family adventures, music, laughter, prairie walks and many pots of tea. A memorial gathering to celebrate Steve’s life will be held in his backyard, rain or shine, at 1043 Louisiana Street, Sturgeon Bay, Tuesday, July 17, from 4:00 to 7:00 p.m. Be prepared to walk around his prairie, wander through his native plantings and be with others who loved him. Parking is available in the Sturgeon Bay High School parking lot. In lieu of flowers or gifts, please take time to go for a hike with your loved ones. Forbes Funeral Home & Cremations is assisting the family. Sincere thanks to the Door County Sherriff Department for their respectful care they provided and also to the friends and loved ones who offered support and assistance.